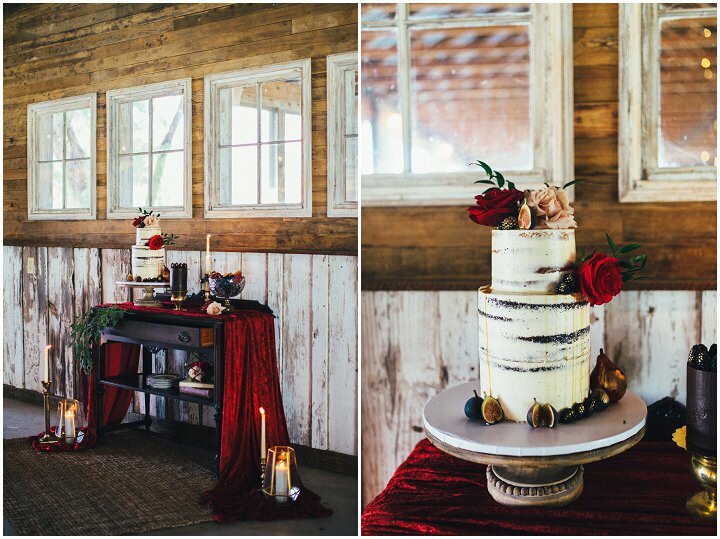 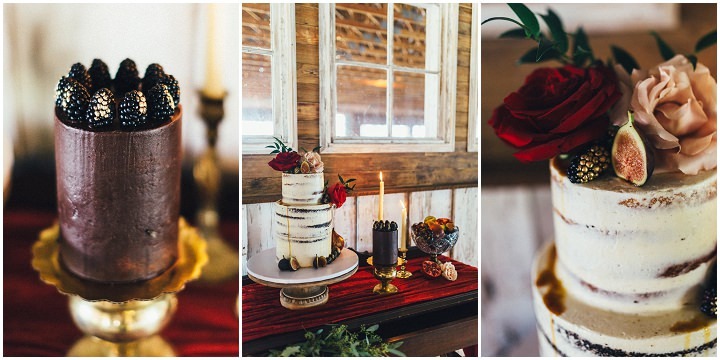 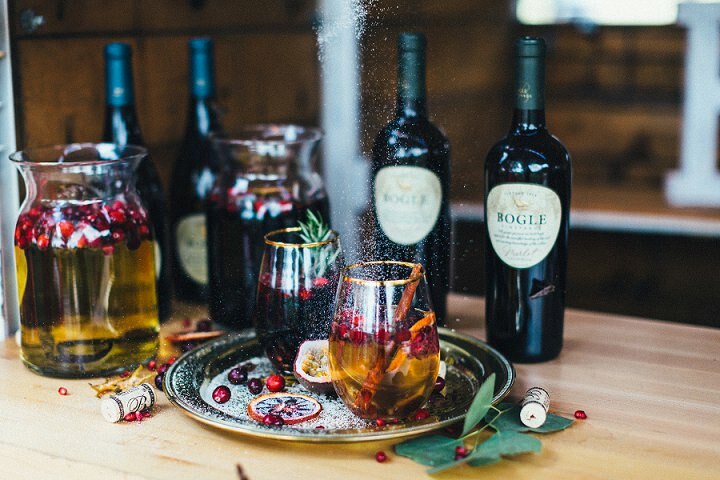 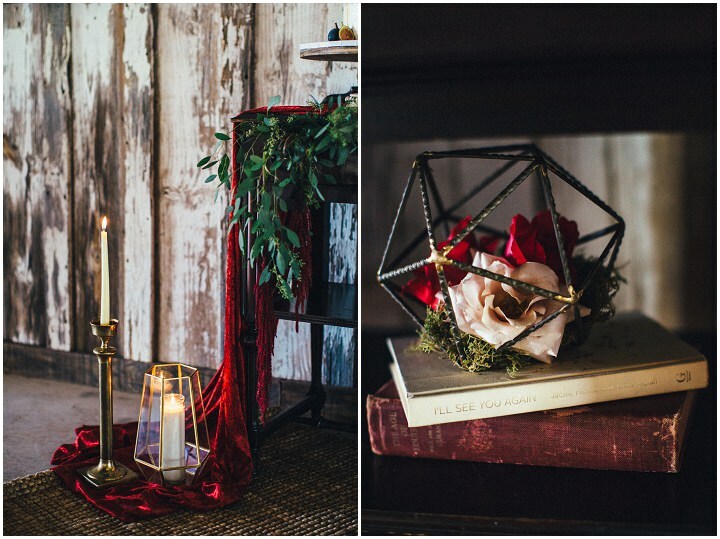 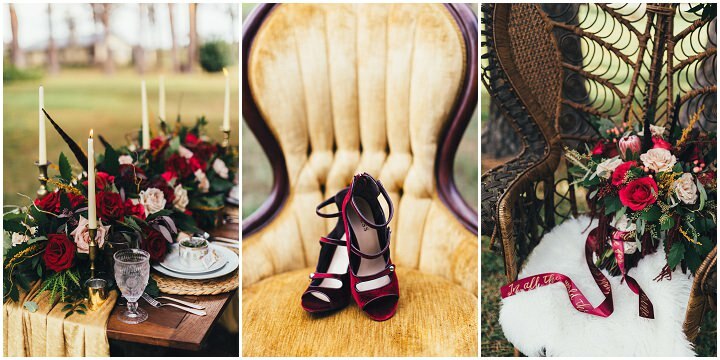 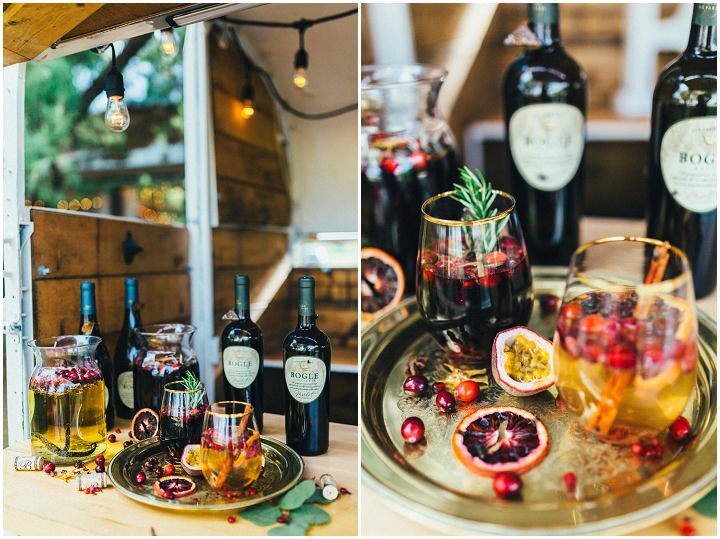 Today’s styled shoot brings us wintery tones, deep colours and rich textures. 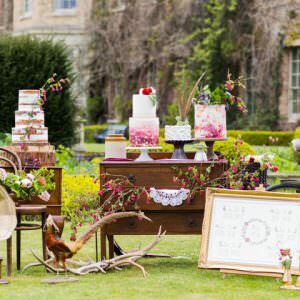 The shoot is filled to the brim with the most delicious of ideas, amazing decoration, an abundance of flowers and the most amazing cakes. 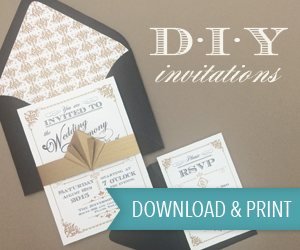 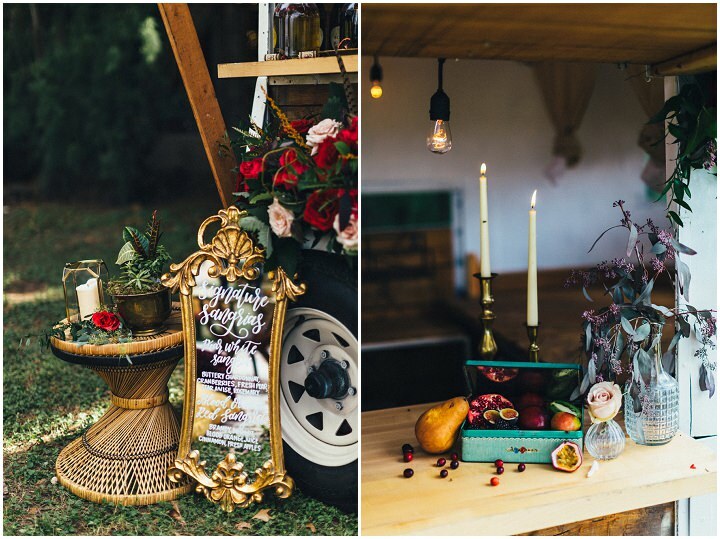 If you are looking at planning a winter or autumn wedding then this styling may just be what you are looking for. 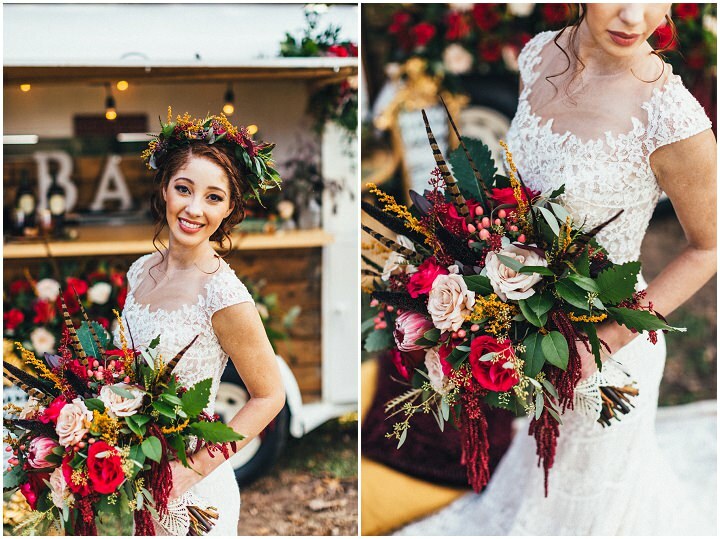 Deep reds, greens and golds all work perfectly against the autumn backdrop. 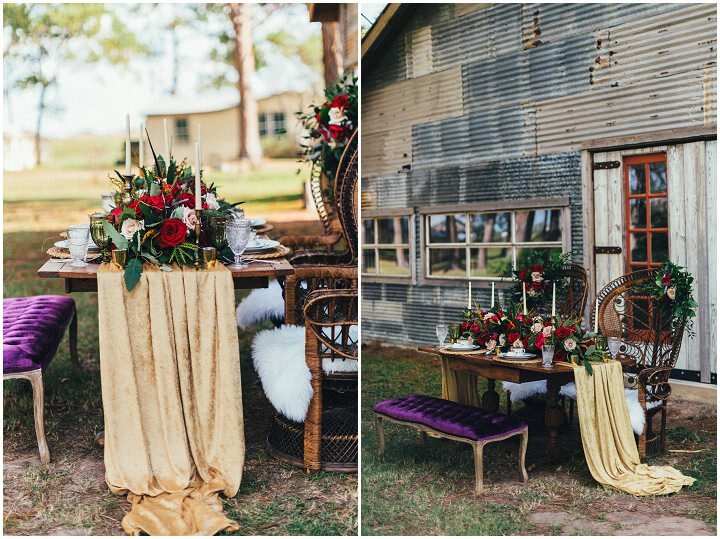 Mix in the deep crimson of the flowers and you really do get a daring, moody bohemian feel. 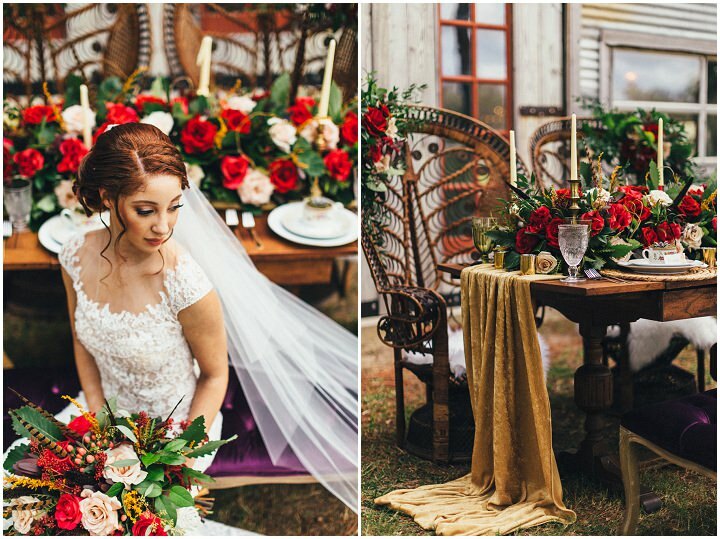 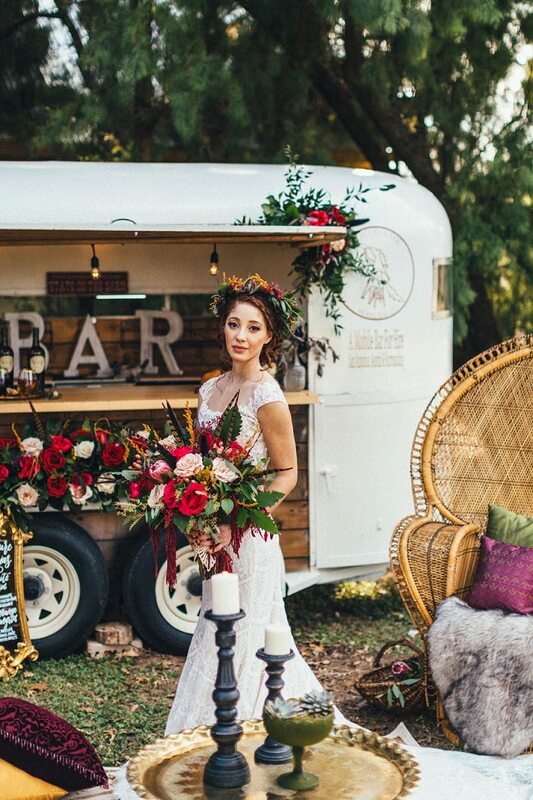 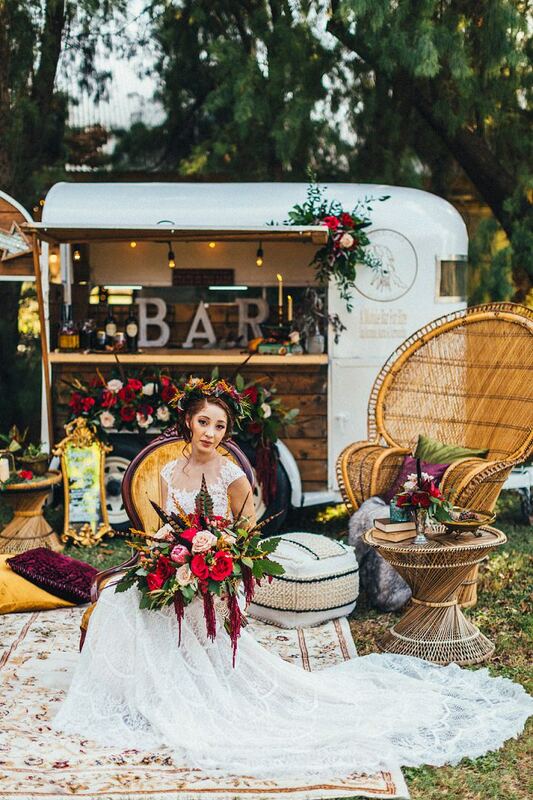 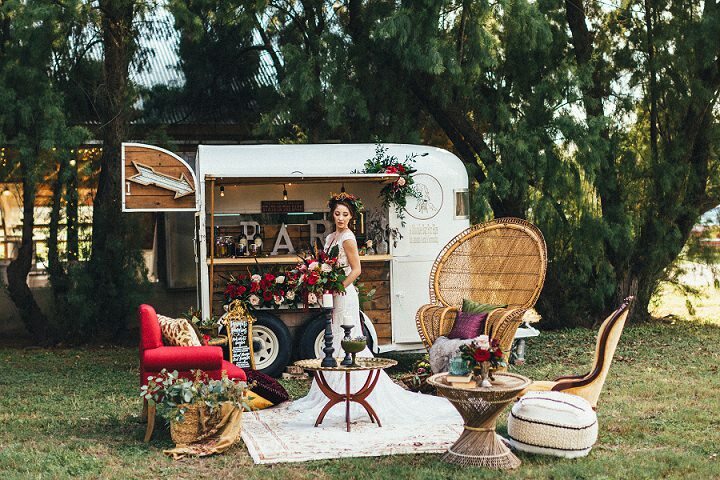 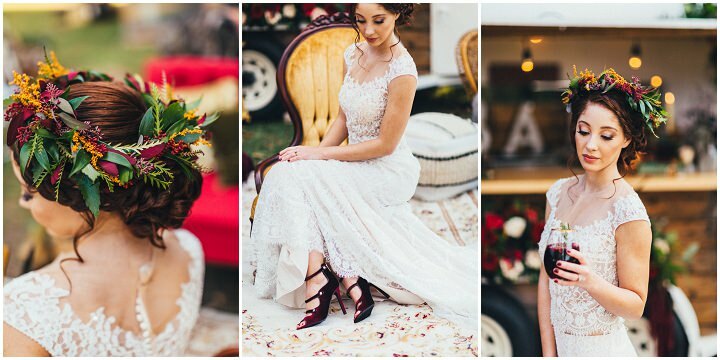 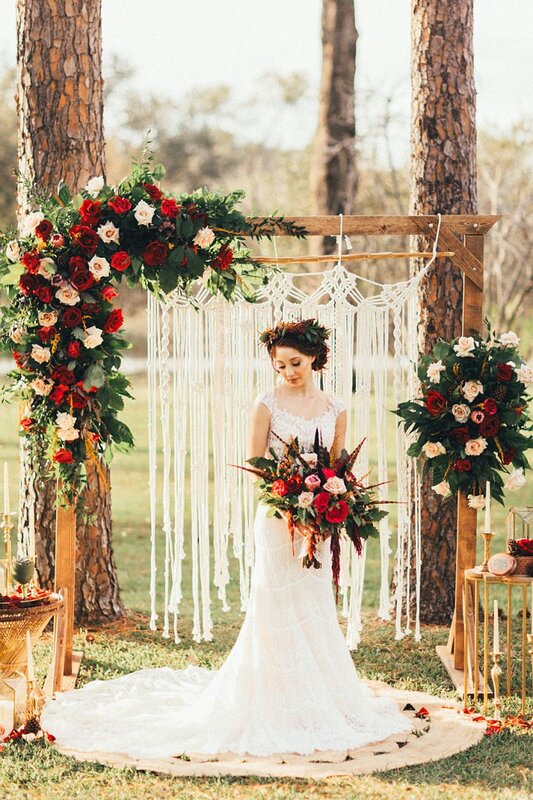 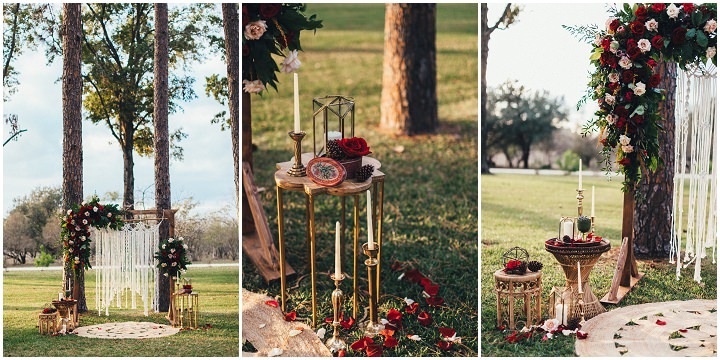 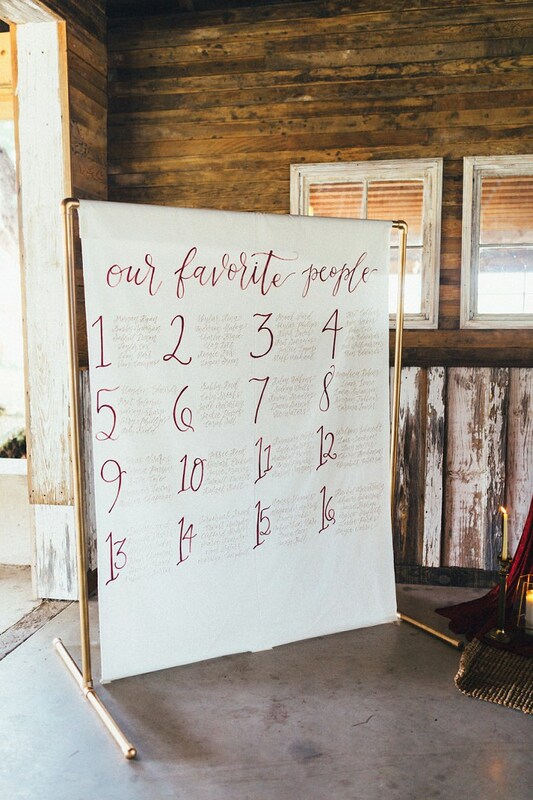 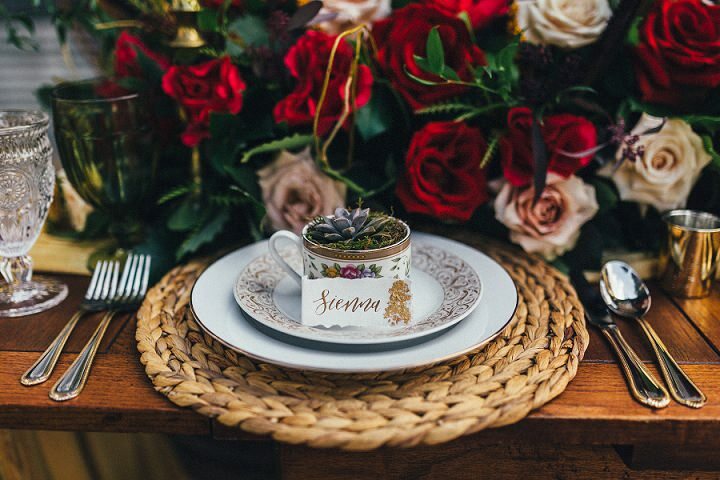 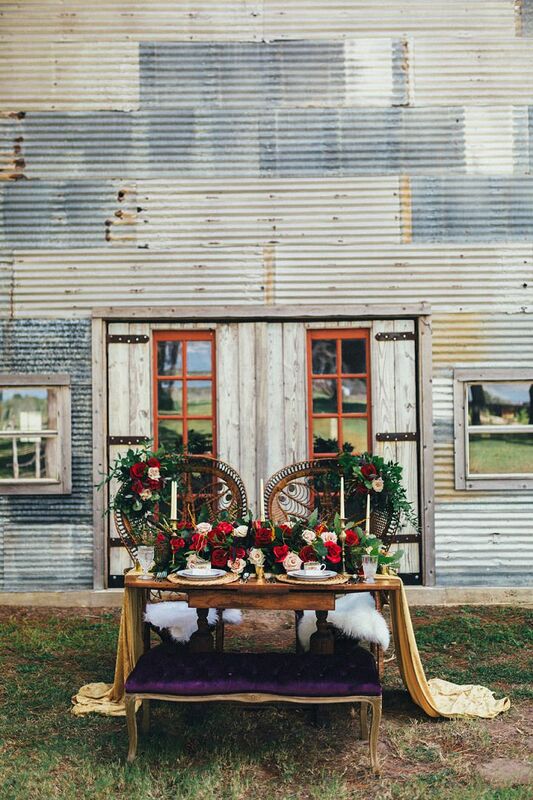 The shoot took place in Strawberry Pines in Texas last November with a team of amazing suppliers all pulled together by Rustic Romance Rentals. 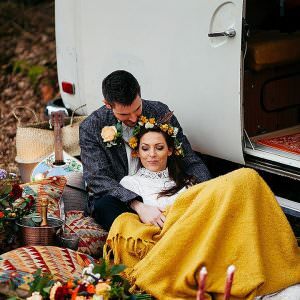 I just know you are going to LOVE it! 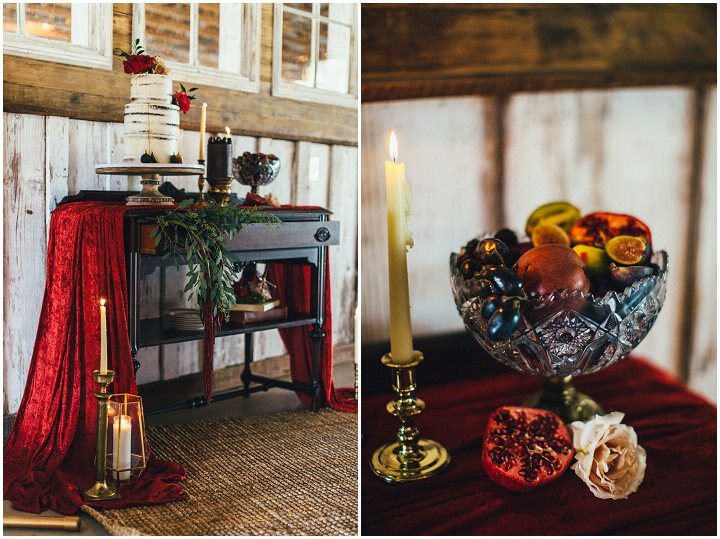 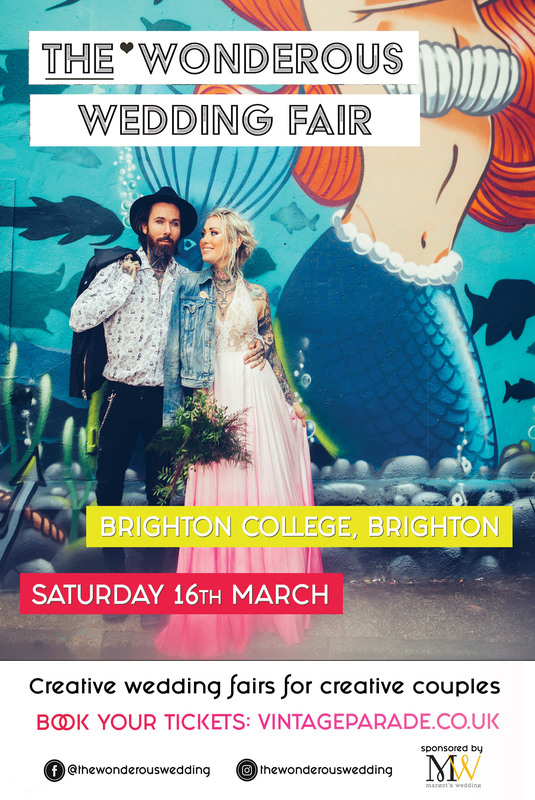 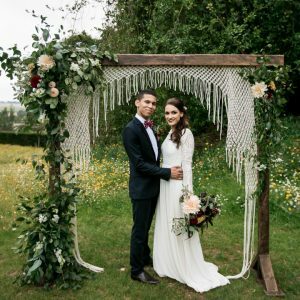 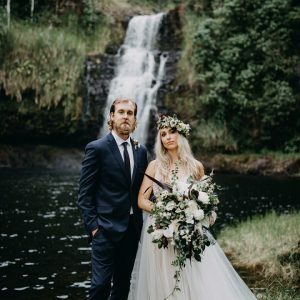 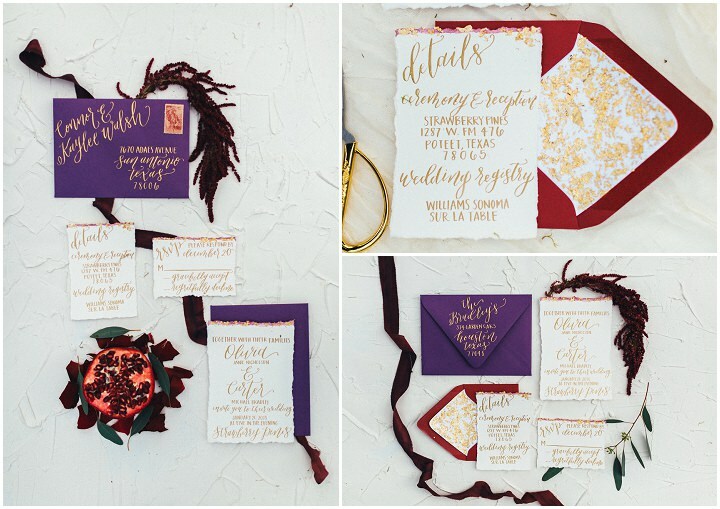 “When we set out to create this moody bohemian shoot I had many ideas going through my head. 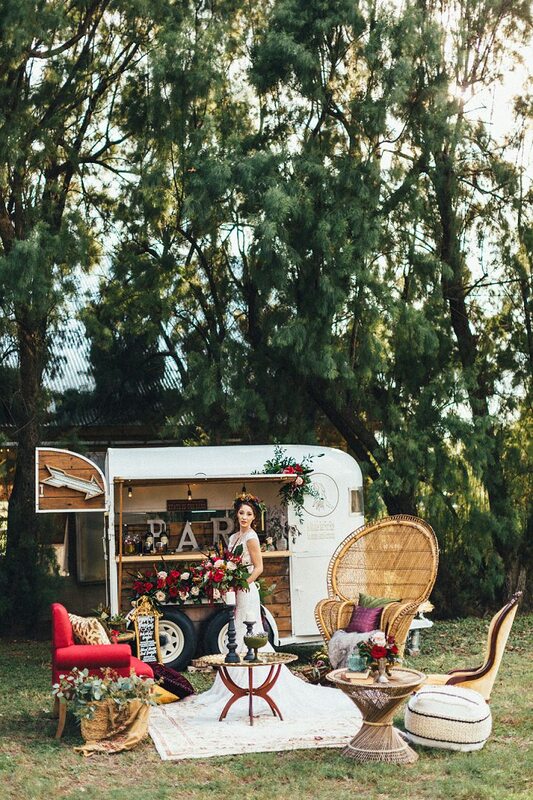 I knew I wanted a unique location, a beautiful red head and a very cool mobile bar. 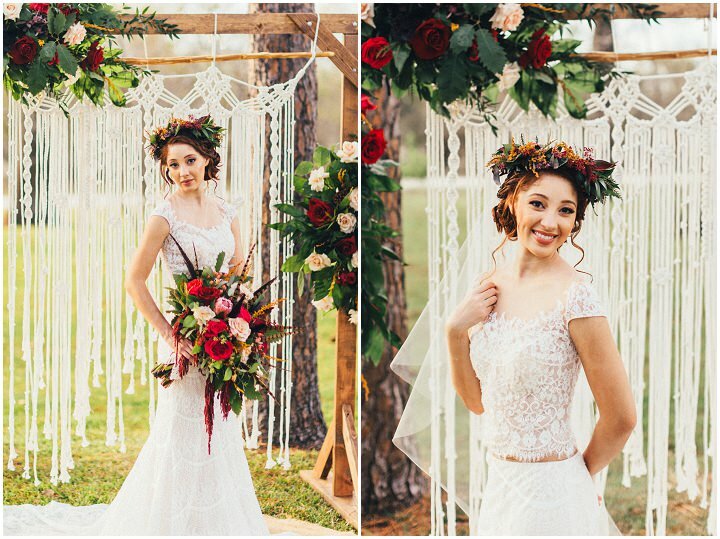 I also had a macrame backdrop that I just HAD to use and so the inspiration for this shoot was born. 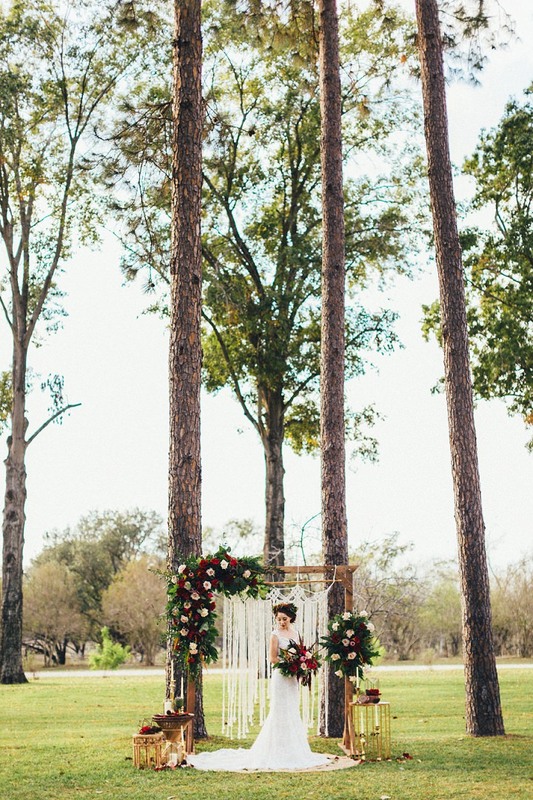 I chose Strawberry Pines, a wedding venue located south of San Antonio, Texas with a refurbished 100 year old barn and dozens of pine trees that flood the main grounds, yes pine trees in Texas who knew! 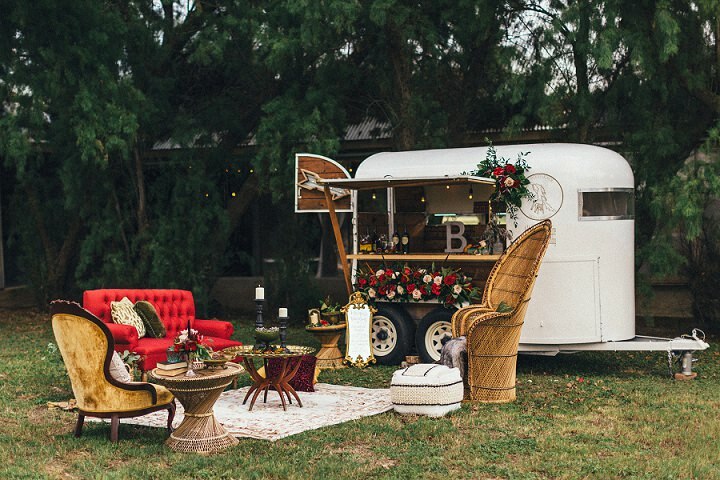 I also contacted a dear friend with a super trendy horse trailer repurposed into a cool Mobile Bar, not many out there. 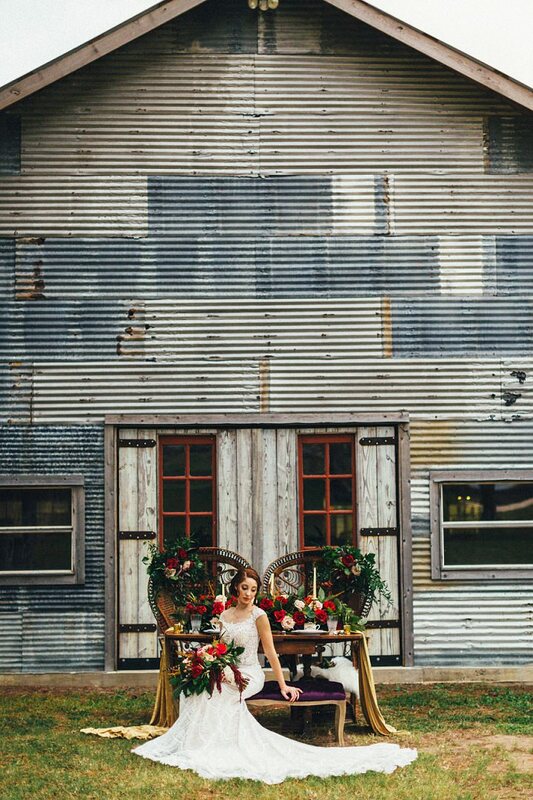 I then reached out to a friend; a pale skinned, beautiful deep red head of Puerto Rican descent who travels the world in her spare time. 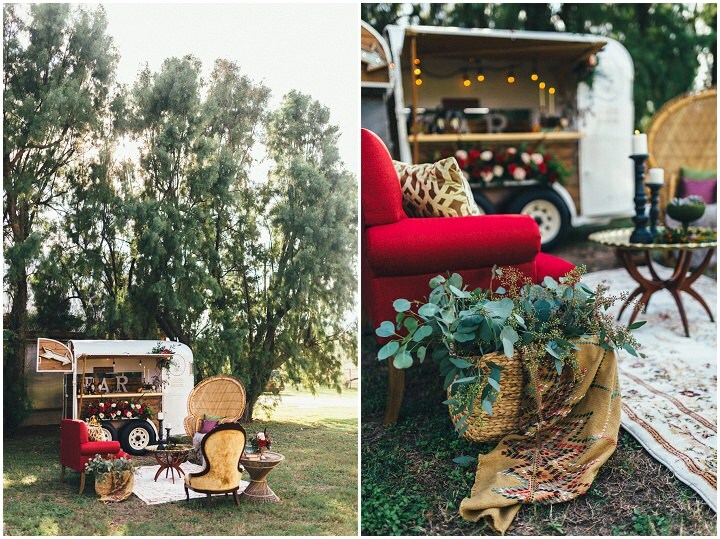 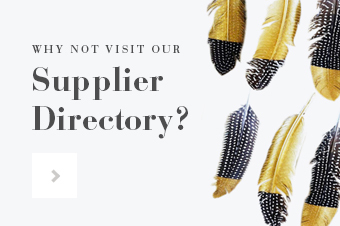 Once I had these friends on board I sought out the most amazing, hard working vendors I know. 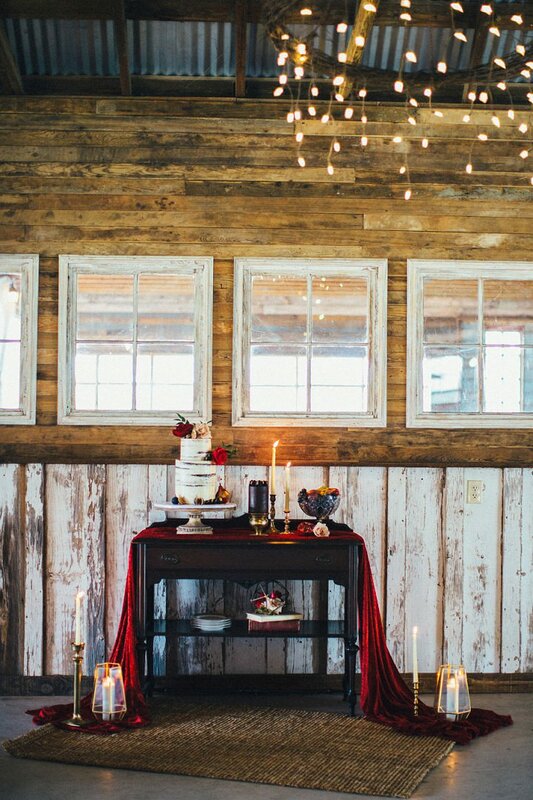 Everyone was eager and excited to work on this project.